1. Discuss the book's title. What is its meaning? 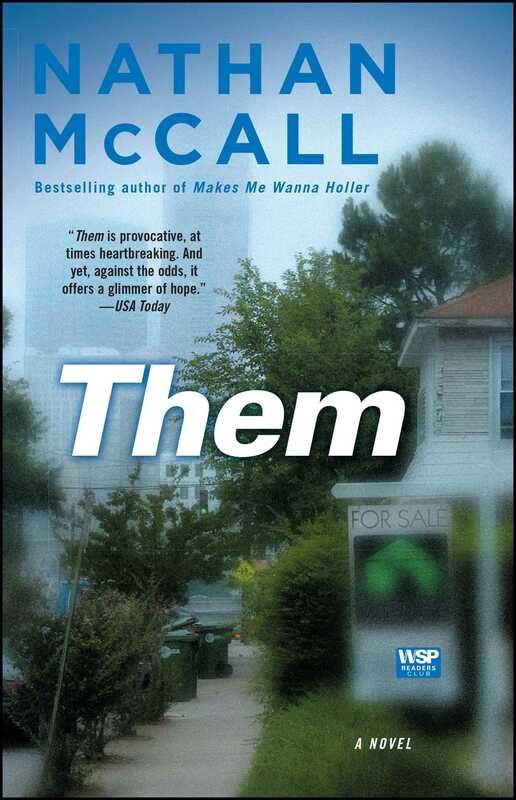 How is the word "them" used throughout the novel, and in what ways does its significance change? 2. This book is divided into three parts. Why do you think Nathan McCall chose this structure? 3. Though their differences are obvious, what characteristics do Sandy and Barlowe share? In spite of different worldviews that complicate their relationship, why do you think these two are ultimately able to bond? 4. "If Barlowe could have assembled the words that reflected his knowing, he might have said something like this: 'Between two people with perceptions shaped by realities as alien as ours, some things really are inscrutable; one person's truths can transcend another's language, rendering them utterly incapable of seeing eye to eye'" (p. 225). What does this mean? Do you agree? 5. Though the overarching conflict of the novel may be between the blacks and the whites who inhabit the Old Fourth Ward, some discord emerges within each race as well. In what instances do stereotypes inspire misunderstandings among residents of the same race? 6. Were you surprised to discover that Sean turned The Hawk in to the police? Do you think his action was justified? 7. Though Viola's official cause of death was liver failure, people in the neighborhood assumed she died of heartbreak after The Hawk mysteriously disappeared. Do you believe Sean is therefore implicated in Viola's death? 8. Contrast and compare how Sean and Barlowe each dealt with the occasional intrusions of Viola and The Hawk. Would you characterize Viola's death as a sad yet ultimately necessary result of gentrification, or a needless tragedy set in motion when the neighborhood's balance is thrown off kilter? 9. Although Sean and Sandy are obviously not welcome in the neighborhood, and in spite of several dangerous personal attacks, Sandy resists Sean's pressure to leave the Old Fourth Ward. Do you think her resolve is admirable or foolish? Is she to blame for what happens to Sean in the novel's violent climax? 10. 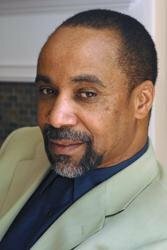 In what ways does the author make statements about black self-sufficiency? 11. The Gilmores ultimately leave the Old Fourth Ward. Were there any instances throughout the novel when you believed that they would establish a happy life there? 12. Though they didn't intend to make a negative impact on the neighborhood, the Gilmores, like other whites, certainly did. Were there ways in which their presence produced positive results? 13. Do you think that, in leaving the neighborhood, the Smiths helped resolve a personal dilemma? Did they inadvertently help advance the process of gentrification? 14. Throughout the novel, Barlowe struggles with the feeling of "not knowing how to live" (p. #83). What does this mean? Are there other characters who deal with similar internal conflict? 15. Discuss Barlowe's transformation throughout the novel. What events and relationships inspire changes in his feelings, reactions, and goals? What ultimately enables him to feel at peace with himself by the end of book? 16. The instances in the book that involve segregated meetings or gatherings among ward residents primarily result in each group's strengthened dedication to remaining segregated. Do you think those actions symbolize continued racial divisions in this country? If so, how? 17. Is the issue of gentrification about race or class? 18. In the story, Barlowe shares this quote with Sandy: "They say liberals conduct their lynchins from shorter trees" (p. #206). What do you suppose that means? What is it's significance to the story? 19. How is it possible that in Atlanta, a city with an African American mayor, blacks in neighborhoods such as the Old Fourth Ward are powerless to hold off encroachment on their communities? 20. How might Barlowe's challenges in figuring out "how to live" have affected his ability to find fulfilling relationships with women? 21. What, if any, symbolic significance do you see in Tyrone's pigeons? 1. Research the history of Atlanta's Old Fourth Ward. Share your findings with the group. 2. Think about the social dynamic and ethnic makeup of your neighborhood. If it is at all homogenous, how would current residents react if people of other races or social classes moved in? If your neighborhood is racially or economically diverse, how is the social dynamic affected by that diversity? Share your opinions and feelings with the group. 3. Read Nathan McCall's Makes Me Wanna Holler as a companion text. In what ways might McCall's personal story have inspired Them?